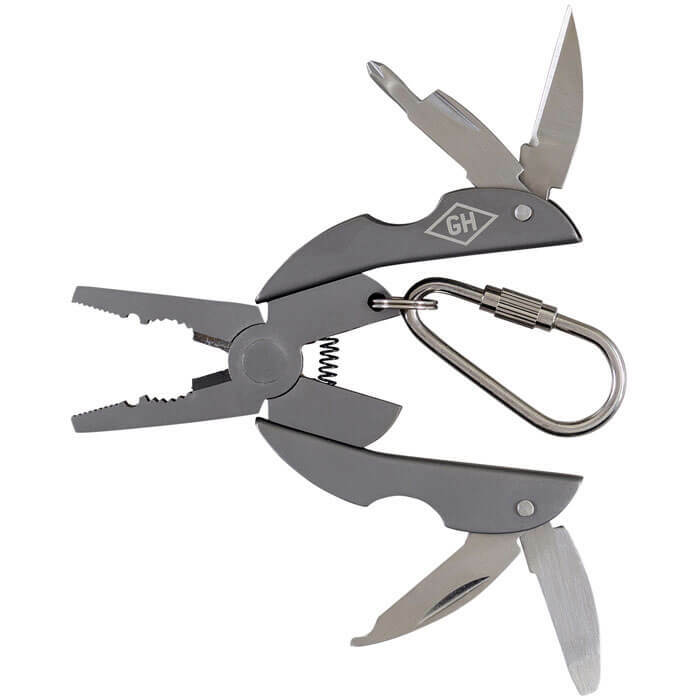 Mini-sized, but with maximum useability! 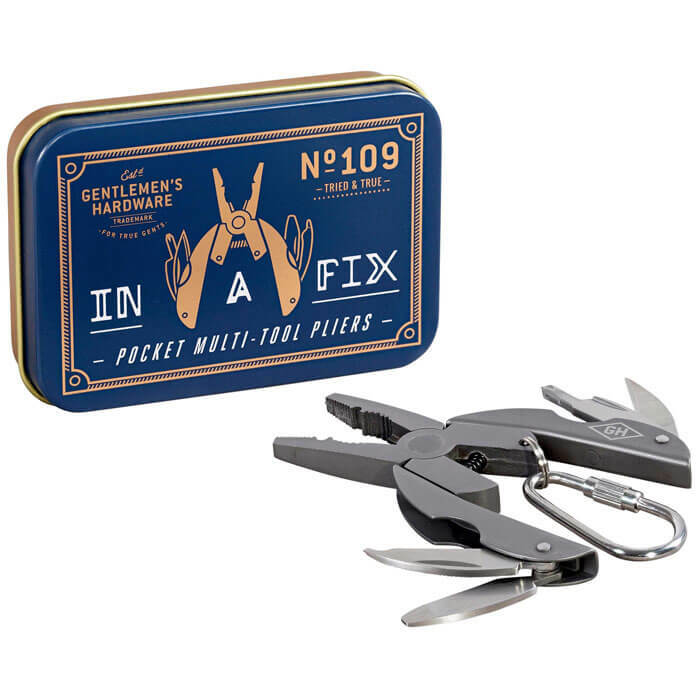 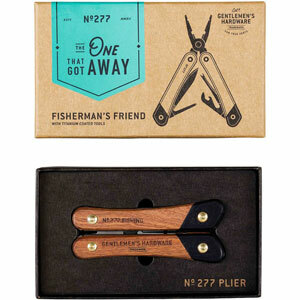 These Multi-Tool Pliers pack a titanium-coated punch with 5 fold-out functions including pliers, knife, file and two screwdrivers. 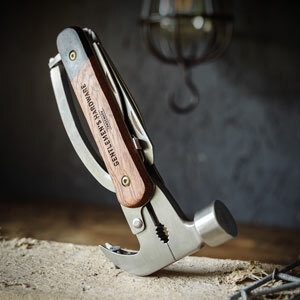 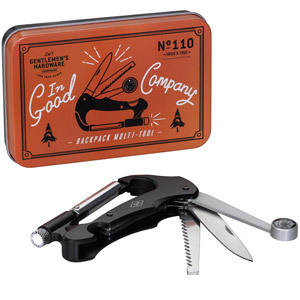 This durable and practical little tool has a carabiner for hanging on your belt or bags. 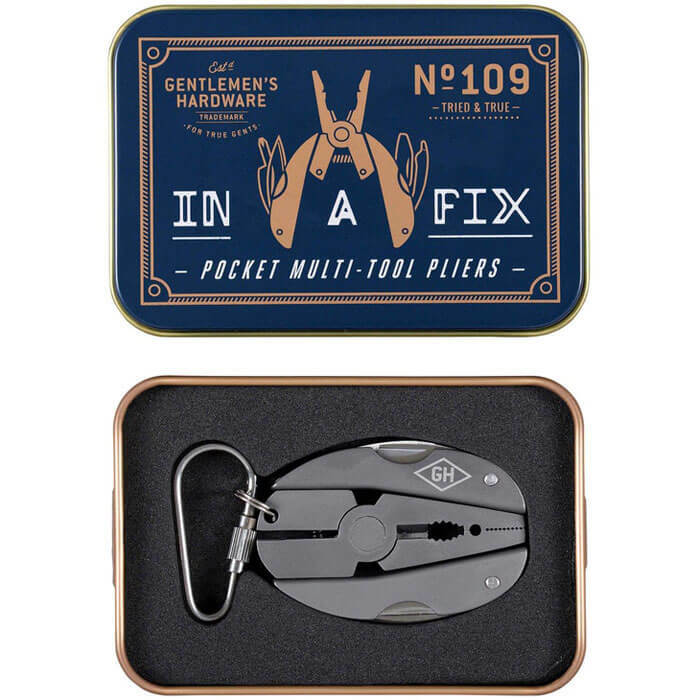 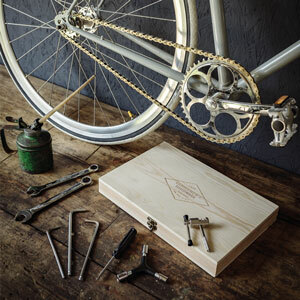 It fits neatly into its own tin making it an essential compact kit for your next camping or road trip.